Salam. I was just sent some pictures by an old friend in Istanbul. Looking through them I was amazed to find this particular one. Those who know anything about these scholars will realise the immensity of their all being gathered in this one place together. 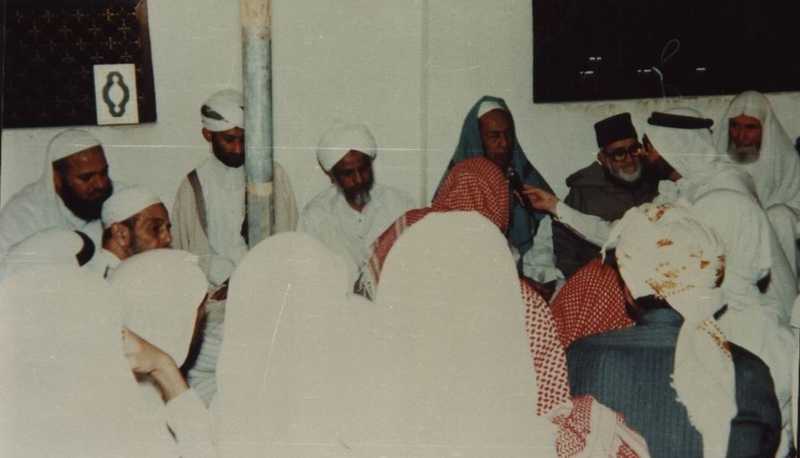 From right to left: Shaykh Abd al-Fattah Abu Ghuddah, Shaykh Abdullah al-Ghumari, Shaykh Muhammad Yasin al-Fadani, Shaykh Ismaeel Zayn, Shaykh Hasan al-Saqqaf and Shaykh Ibrahim al-Khalifah al-Ahsai. May Allah have mercy on those in the picture who have passed away. Ameen.